This book is a collection of insightful quotes, inspirational sayings and heartfelt advices from His Eminence Garchen Rinpoche – a Tibetan lama of the Drikung Kagyu Lineage, a highly accomplished and realized yogi, a skillful teacher, and the beloved Guru of many of us – whom I dearly call “Apa-la”. The current 8th Garchen Rinpoche was the incarnation of a 12th century highly realized yogi named Gar Chodingpa, one of the heart disciples of the famed Jigten Sumgon, Kyobpa Rinpoche – founder of the Drikung Kagyu lineage that traces back to the great translator-yogi, Marpa Lotsawa, and the greatest poet-yogi of Tibet, Milarepa. Garchen Rinpoche, well-known for his vast realization, kindness and compassion, is highly revered not only by masters and disciples of his own lineage but also masters and disciples of other traditions. The book contains 108 exceptional insights and wisdom on the essence teachings of the Buddha, addressing the Thirty-Seven Practices of Bodhisattvas, the infallible law of karma, and the ultimate practices of the relative Bodhicitta and the absolute Bodhicitta. It is hoped that these quotes of love and wisdom can spread far and wide with the sole wish to bring peace and happiness into the world and to benefit all sentient beings without exception. Each quote is illustrated with a special photo of Garchen Rinpoche – just that we always remember vividly and diligently follow the wonderful qualities, enlightened activities, profound teachings and direct instructions of our Guru. 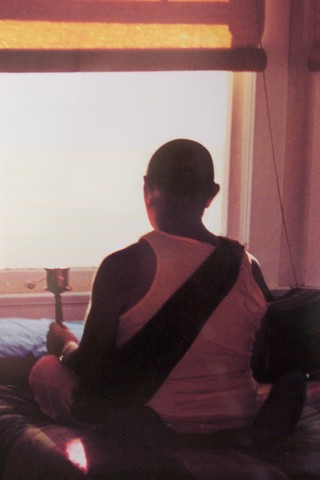 This book is not possible without the unconditional support from many Dharma teachers, brothers, sisters, translators, friends and Centers around the world that have graciously shared these special words and photos of Garchen Rinpoche through various media channels and social networks. Special Thanks go to Ina Dhargye for translating and transcribing Rinpoche’s quotes and making them available to everyone. Our deepest gratitude goes to Garchen Rinpoche for all of the precious teachings especially the examples and experience of his life that he has been providing and sharing with all of us. May I never be separated from the precious Bodhicitta. May I always follow in the footsteps of the Precious One to benefit all beings and to help eliminate the sufferings for as long as space endures and for as long as living beings remain.